The present cake is tart yet sweet and ideal for summer. A delicate margarine cake is lit up with a trace of crisp lemon squeeze and specks of lemon get-up-and-go. 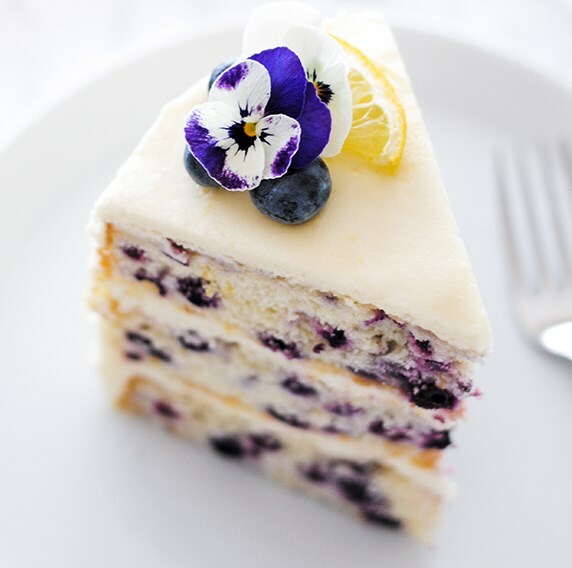 Wild blueberries moving all through each layer give the cake a fly of complexity, both in appearance, surface and taste. At that point comes the fantastic cream cheddar icing that flaunts tart cream cheddar and tart lemon juice offset with smooth spread and fine sugar. It's the sort of icing you'll need to eat with a spoon, in case you're in to that sort of thing. Provincial twirls keep the icing straightforward and easygoing, making this cake an invited expansion to any of your late spring occasions. Finished with bunches of lemon wedges, new berries and eatable blooms, the total bundle looks pulled together however requires little exertion. Try not to stress, we won't tell anybody how simple it was! Visit bit.ly/2XeKnqo for full instructions.